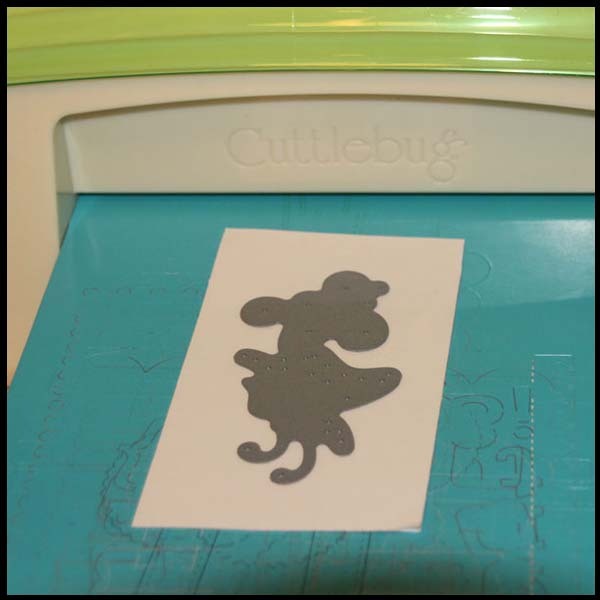 Created 4 Creativity : It's the Premiere Die-Namites Dies Blog Hop!! 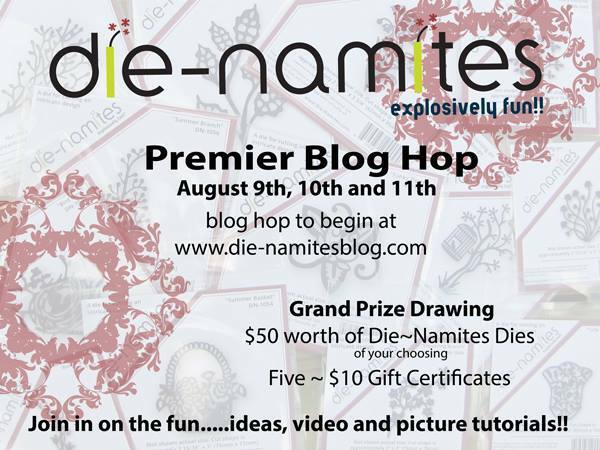 It's the Premiere Die-Namites Dies Blog Hop!! 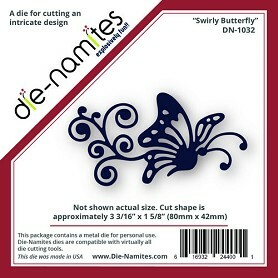 All of the Die-Namites Design Team members will be sharing their creations using the latest release of Die-Namites dies. And all of us will have either picture or video tutorials for you. Woo hoo!! We will also each have a secret word. Collect all the words, make sure to leave a little love, and find the secret phrase that will give you one entry into our prize drawing. You will receive additional entries for liking us on Facebook and signing up for email notifications. We will be awarding one Grand Prize of a $50 Gift Certificate to Die-Namites Dies and five $10 Gift Certificates to Die-Namites Dies. 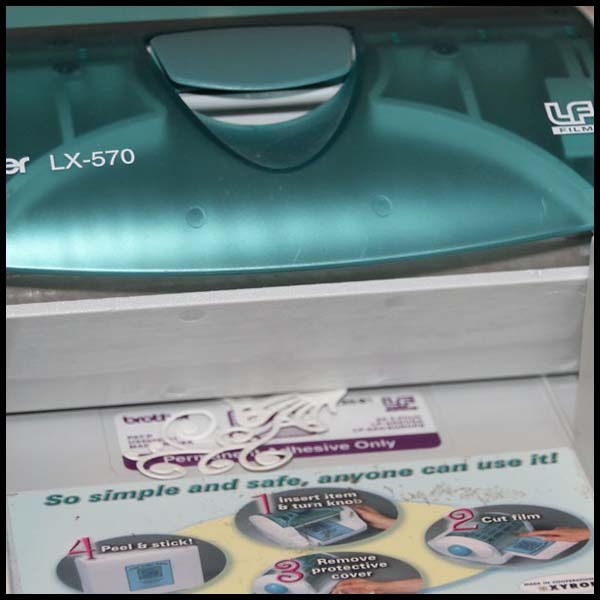 Be sure to visit each blog for your chance to win! 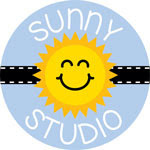 If you have arrived here from Dunja Dücker’s blog you are in the right place. 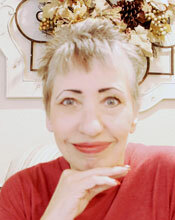 If you have just arrived in the midst of our Blog Hop, please head to the Die-Namites Blog to start your journey. 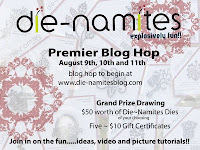 I hope you enjoy the Premiere Die-Namites Dies Blog Hop!!! I used the Swirly Butterfly die for my main image. I die cut my double sided adhesive sheet which I had adhered to a piece of lightweight card stock. 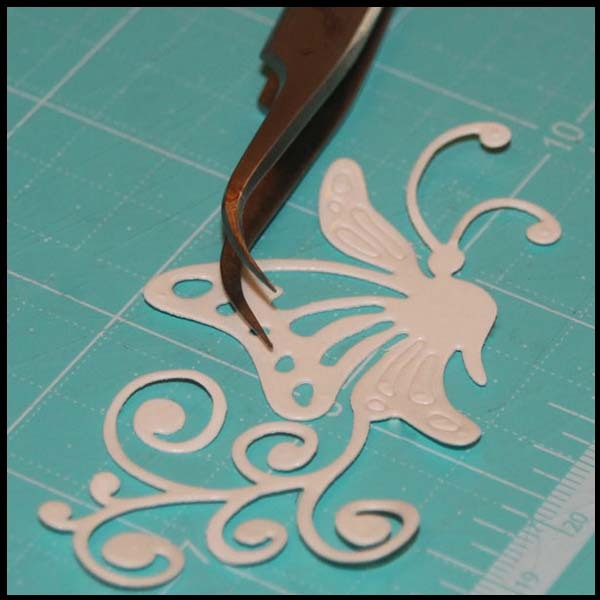 I used tweezers to remove the smaller pieces from the die cut. 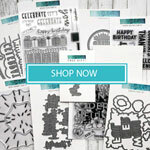 Sometimes, I use a paper piercer. 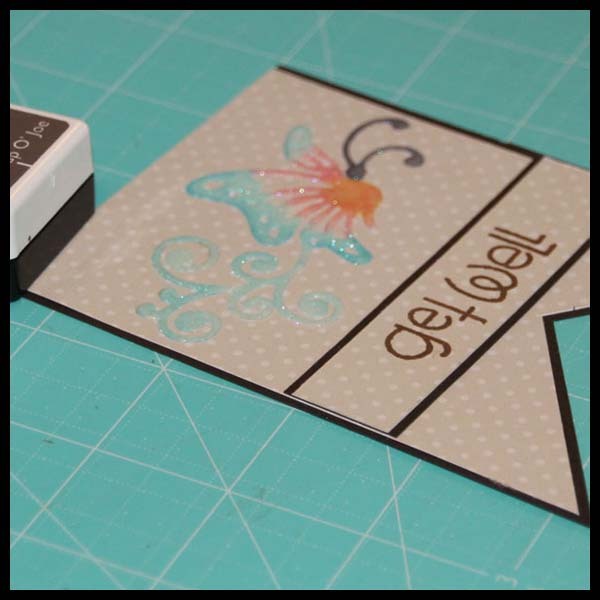 I ran my die cut through my adhesive machine to make it easier to adhere to my card front. I peeled of the top protective liner to reveal the double sided adhesive. I colored my glittered die cut with Copic Markers and then adhered it to my banner which would then be attached to my card front. Here is a close up of the glittered and colored die cut. Be sure to give this technique a try. 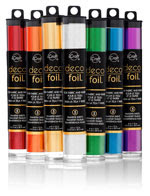 If you don't have Copic markers, you could just use ultra fine colored glitter to make your die cut pop. As a matter of fact....I think I'll try that next. WOW Susie....that is SOOO COOL!!! LOVE IT!! Thanks sooo much for sharing this tip! Such a beautiful card!! 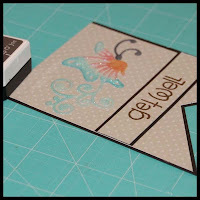 that butterfly die is a must have!! I love butterflies!!! I adore the way you glitter and colored it!! Gorgeous!! Your card is delightful, dear Susie. You have the Die set in a wonderful scene. The tip is awesome. That is just beautiful, love that die. Great idea using the glitter like that. What a lovely get well card! 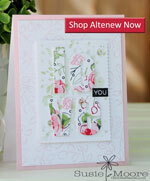 Wow I love this die already and your card is amazing!! Pretty, colorful butterfly! Thanks for the technique idea. How pretty! 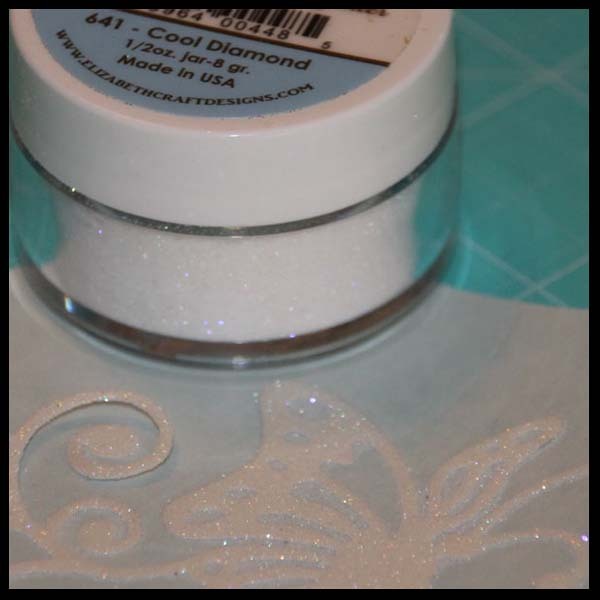 I love the idea of running the delicate die cut through an adhesive machine and adding glitter. 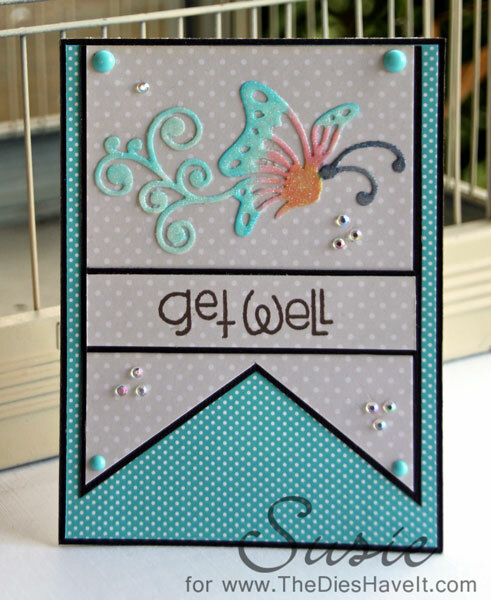 Love that butterfly die and your card is beautiful!! Oh wow Susie this is sooooo pretty. I didn't know you could color glitter with your copics!! I am totally going to try this technique! Great Job!!!! 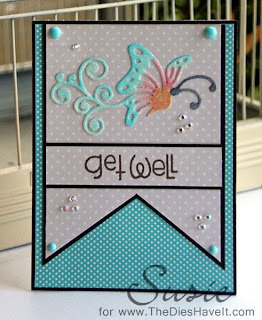 Beautiful card love the layout and the butterfly die. 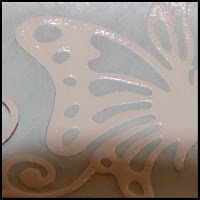 loved that butterfly,I would never think to color over glitter, very pretty!! thanks! Lovin' that butterfly die!!! Beautiful! Lovely card...I have some of the butterfly dies and I can attest that they cut so cleanly! 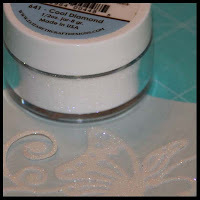 I have not seen someone color glitter with Copics, however...what a novel idea! Love how this turned out! Thanks for the picture tutorial! Beautifully done! Appreciate all the fabulous tips! Beautiful card. What a fun way to decorate the die. Who knew you could color the glitter with copic markers. That is awesome! Beautiful card the die is so pretty. 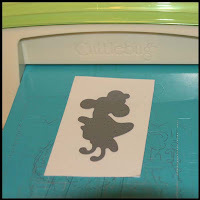 Thanks for all the new ideas on ways to enhance the die-glitter, etc. Beautiful!!!!!!!!!!!!!! Beautiful your card and the die, I like very much the butterfly. Thanks for sharing your tutorial!!! WOW...just a fab card. 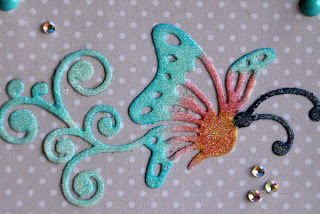 I love the butterfly die - you can never have too many butterflies!!! Thanks for sharing your marvy techniques. Oh, wow I really love this butterfly die! I must live under a rock because I had never heard of these dies until today and now I want them all! I love how you used the glitter then colored the butterfly. Thanks for the great tutorial! Hi, I'm sure I will try this technique. 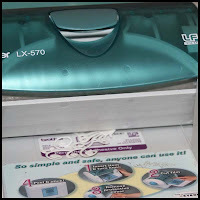 It seems to be very easy for detailed dies! Thanks. Oooo the butterfly is the right size for a card. Love what you did with it and the inspiration. What a beautiful card! It will surely will brighten someones day! what an adorable card. love what you did. Susie that butterfly looks amazing, I love how you colored the glitter with your Copics! !